The majority of car accident claims are settled out-of-court, eliminating the need for a trial. If you’re filing an insurance claim, reaching a settlement agreement as quickly as possible is advantageous for a number of reasons—often times, loss of employment wages and high medical expenses can leave you in financial ruin, and cost of in-court litigation is expensive. If your car accident claim is not settled out-of-court, the attorneys at The Law Office of Burns & Jain can help you to pursue litigation. In addition to the high costs of litigation, there are other reasons why both parties typically prefer settling an accident claim out-of-court. The insurance defense trial lawyers will seek medical records from prior to the collision, from doctors who treated you for unrelated conditions, and will seek testimony about much private and otherwise irrelevant parts of your life. Furthermore, when a case in pursued in-court, you will have to produce evidence to substantiate negligence and injury, often in the form of expert witness testimony. Expert testimony can be expensive to obtain, with some physicians charging thousands of dollars per day. Pursuing a trial in-court often raises the potential of a number of uncertainties, and the outcome is often much harder to foresee. What’s more, an in-court trial can be extremely drawn out and emotional, causing you—the victim—to relive the accident during testimony and cross-examination. Despite the advantages of an out-of-court settlement, settling out of court is not always a reality, and many claims make their way to court litigation. Typically, the failure of a claim to settle out of court is based on a dispute over liability, with the defendant stating that they should not be held liable, or claiming that you should be held partially liable for your injuries under the state’s contributory negligence laws. Claims may also fail to settle out-of-court because of a dispute over the nature of and extent of your sustained injuries or damages suffered. For example, if you’ve sustained any whiplash injuries or soft tissue injuries, these injury types may cost thousands of dollars to remedy. 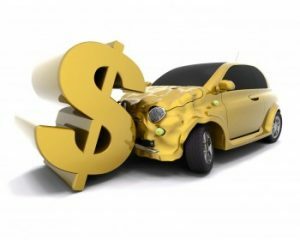 However, there may be a failure on the part of the insurance claims adjuster to recognize the need for such costly care, resulting in the denial of a proper compensation amount. At other times, an insurance claims adjuster may offer a settlement amount that is much less than what you actually deserve, for an unfair reason. When this is the case, going to trial to recover a substantially higher damages may be advantageous, and your only alternative. In the event that you’ve been injured in a car accident and your claim for damages fails to reach an out-of-court settlement and litigation is necessary, your attorney will help you to prepare for the extensive litigation process. The first step will be the discovery process. During the discovery process, documentary evidence will be produced and answers to written questions, called interrogatories, will be prepared by your lawyer. In the event that the defense fails to provide requested documents or answers, you and your attorney can file a motion to compel compliance. The next step is the deposition process. A deposition is an out-of-court oral testimony given by an applicable witness or witnesses. Those who may be involved in the deposition process include the injured party (you), medical experts, witnesses to the car accident, police officers, emergency medical personnel, financial experts to testify to the extent of financial losses, and any other relevant witness types. Deposition is often an emotional process for a plaintiff, and can be extremely time consuming. Following deposition and discovery, a trial date will be set. There are several phases of the trial process: choosing a jury (legally referred to as voir dire), giving opening statements, in-trial witness statements and cross examination, closing arguments, jury instruction, and the jury deliberation and issuance of a verdict. Upon the issuance of a verdict, damages will be awarded assuming that the jury sides with the plaintiff. If not, post trial motions and an appeal is possible . Funeral and burial expenses, as well as loss of consortium or companionship, are also available in the event that the car accident results in death and the personal representative of the deceased is filing a car accident claim on. Otherwise, your spouse may be able to recover loss of consortium damages if your injuries are especially severe. Settling a claim out of court is often ideal, as doing so is traditionally less expensive and less emotional for a car accident victim. When a claim goes to court, though, having an experienced Boston trial attorney on your side who knows the law and knows how to fight for your rights is important. At the Law Office of Burns & Jain, our personal injury and Boston car accident attorneys know how important it is that you get the damages that you deserve, and will work hard to make sure that you get the best representation available. To learn more about how we can help you when litigation is necessary, call us at 617-227-7423, anytime of the day or night!